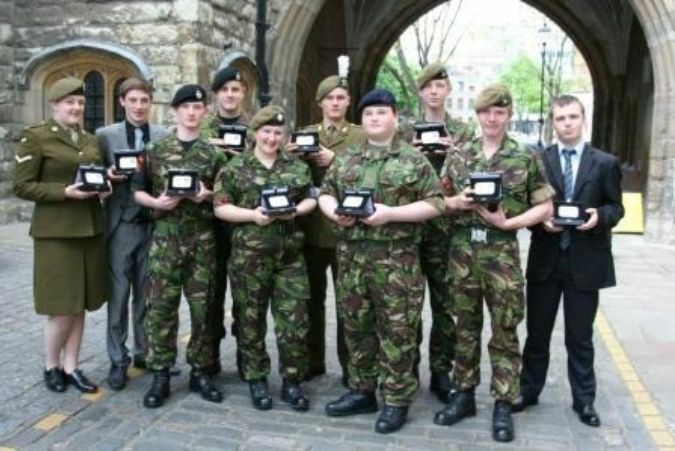 The closing date for the Young First Aider of the Year Awards 2013 has been extended to 8 Feb. Last year 10 of the 14 awards across the entire youth spectrum were to awarded to Army Cadets, 1 to a Sea Cadet and 3 to SJA Cadets. There is still time to get a nomination in for this year’s awards. There is a very simple form to use on Westminster (G7 > First Aid > Recognition). Or just email a one line entry with the cadet’s name and brief outline to Lieutenant Colonel Alan Sharkey. The Army Cadet Force Association (ACFA) works with NGB’s to provide recognition to cadets who render praiseworthy first aid. It encourages cadets to act when help is needed; limits the damage when accidents happen; gives cadets recognition they deserve; provides closure for some traumatic events; offers good PR to the cadet force and saves lives. Young First Aider of the Year is one of the opportunities supported by ACFA. Some dozen young people are invited to an annual awards ceremony in May to receive commemorative medals. Young First Aider of the Year certificates are awarded quarterly and certificates sent for presentation locally. The ACFA also work with British Red Cross, the Royal Humane Society and other NGBs to provide recognition for both cadets and adult volunteers. If you miss out on this years awards hopefully you might identify nominations for the future.